Every Android smartphone, premium or not, comes with a default calculator that will get the job done. It simply works and comes with a widget that you can place on your home screen. This is both convenient and easy, but is it enough? For most people, the default calculator is enough but what if you wanted it to perform more complex functions? I recently found myself calculating interest on my car loan and thought if there was a financial calculator. I started jotting down strange numbers on a piece of paper when my friend took a photo and solved the whole thing! OCR anyone? While digging deeper, I found there is a calculator for every need. Let’s begin. OCR technology has come a long way and you can now take a picture with your calculator and the app will work its magic. If you have a math problem, complex one with brackets and all, simply point Photomath camera on the piece of paper and scan it. The app will display the problem with a solution for you. What really impressed me was the step by step guide the app was able to show how to solve the problem manually. It comes with a graph function too but I left it there. 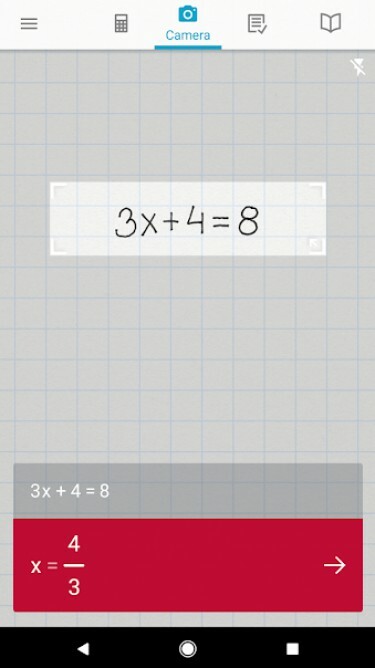 You can use Photomath for decimals, integers, arithmetics, algebra, roots, and so much more. 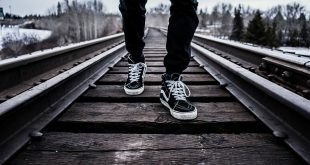 A really powerful and free app that comes with no ads. One of the best take-a-picture-calculator apps in the market. 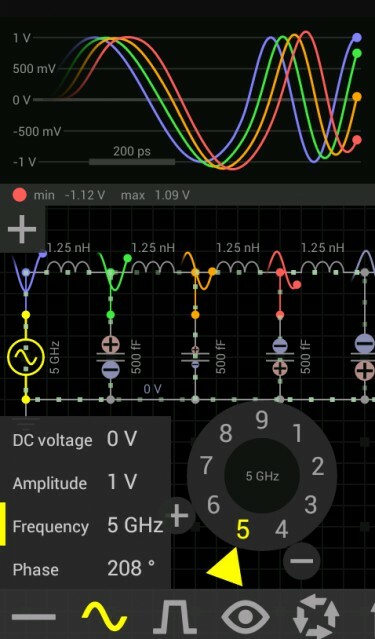 HiPER Scientific Calculator app is hands down one of the best scientific calculator apps in the PlayStore. I am not talking about sin and cos but stuff like periodic numbers, fractions, trigonometric and hyperbolic functions, and so on. 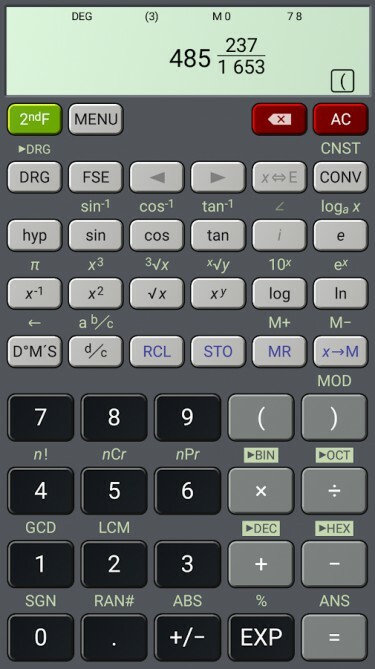 While the free version of the Android scientific calculator app has a number of features and calculations to offer, there is also a paid version ($1.99) that comes with complex numbers, details of calculations, expression mode, 100 decimal places, and different themes. The free version comes with no ads. If you are a DIY enthusiast, a professional construction worker or a carpenter? You know you need a different kind of a calculator app. You need to calculate area, time spent, convert units, a round of results and more. Enter the Handyman Calculator, a complete construction calculator app for you. 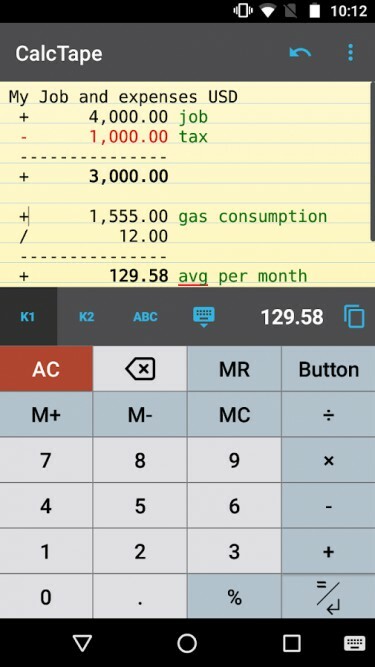 The app will allow you to round off figures, convert a number of units in the area, temperature, and density and more on the fly, convert fractions, convert power, calculate angles and more. 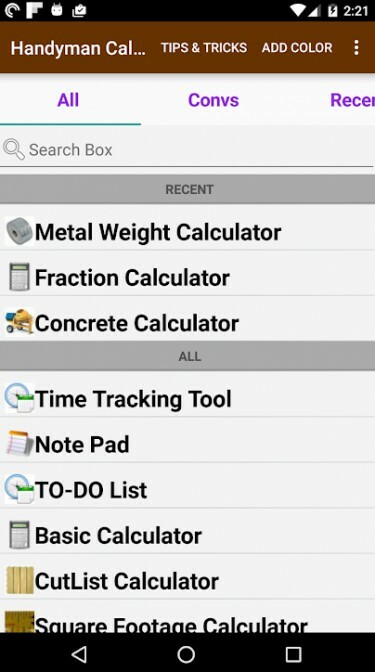 There are literally hundreds of different calculators inside this one single powerful construction calculator app. As if all this was not enough, the developers also included a to-do list and a time tracking tool so you can keep notes and count hours on different jobs. The app is free to use but is ad-supported which can be removed for $4.99. 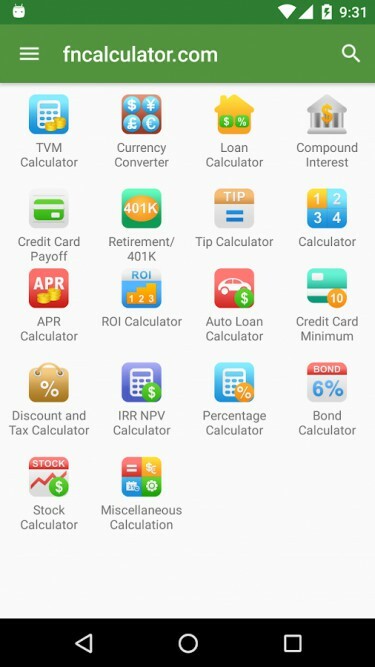 Why do you need a financial calculator app? You need one to calculate loan EMIs, FD returns, plan your retirement and future, understand SIP and 401K, calculate taxes, manage your finance, and more. Phew. The financial Calculators from Bishinews comes with more than 18 different primary categories of calculators which you can then use to calculate pretty much anything the world throws at you under the umbrella of finance. Compound interest, loans, insurance, EMIs, tax, discounts, stocks, bonds, ROIs, the minimum amount to pay for credit cards, and more. You can also plan your retirement with this amazing app. Financial Calculators is completely free to use and is ad-supported. You can upgrade to the pro version for $4.99. A lot of people, including me and my parents, are used to the idea of using a piece of paper, pen, and calculator to do their financial planning because it allows them to write the name of the product or service where which ate their money. Enter CalcTape Calculator. As you can see, it is easy to give names to your expenses or income. It gives you better understanding and control over your planning. You can create templates which is why I couldn’t resist downloading the app. Honestly, I wasn’t even expecting a graphing calculator to exist but it does, and in good numbers too. After a lot of research, I zeroed in on the Graphing Calculator. 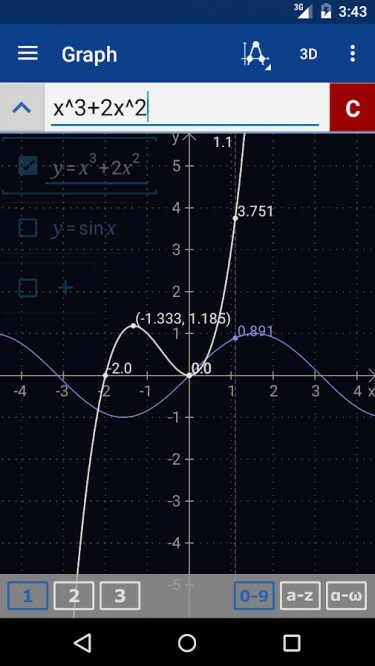 Not only is this one of the best scientific and math calculators, it will also help you understand the problem, and the solution, using graphs. 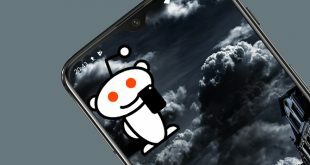 The app will not work without an active Internet connection. While all the features like fraction, algebra, scientific, probability, statistics, and graphs are free, you can upgrade to access full-screen graphs, physical constant, remove ads, remove Internet constraint and work offline, save expressions in the library for $8.99. Another notable mention here is the Desmos Graphing Calculator which is completely free and comes without any ads. It is comparable to Graphing Calculator in features but not exactly the same. If you are an electrician then you are going to love this app. You can build a circuit and then analyze its inner workings like current, voltage, charge, and animations. You can adjust and control the parameters and play around with the circuit to see what happens. Every day, new circuits are being added to the library which opens up more possibilities. There are a number of buttons, knobs, and switches to manage the input and output. The free version is a bit limited though but the pro version, priced at $14.99, is totally worth it if you know what the app is. ElectroDroid is a notable substitute which is available for just $1.99, however, it is not as robust and features rich as EveryCircuit. As you can see, there is a calculator app for everyone and everything. Whether you are an electrician, mathematician, constructor or a scientist, I got you covered. Let me know which one are you using and why in the comments below.